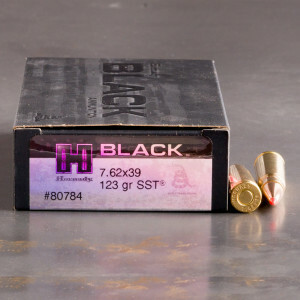 Polymer tipped 7.62x39 ammo is manufactured with a plastic tip on the bullet engineered to deliver both the benefits of a fragmenting round as well as the perks of an expanding hollow point bullet. The polymer tips acts to drive into the hollow point projectile which causes the round to fragment into multiple pieces, punching multiple wound tracks into your target and pushing a large mushrooming round through your target, creating a large primary wound channel. 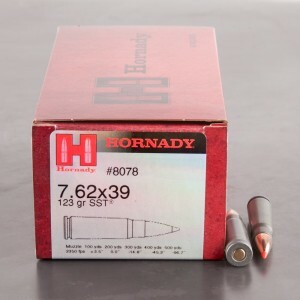 This is the only ammo I will run through my Arsenal AK now...rounds are accurate and hot, stack em high and dry. Great hunting round. Shot a big doe at 115 yrds out of my Mini-30. The bullet took out both lungs and part of heart. Good expansion and it went all the way out the other side. I did not recover bullet. The doe took about 5 steps and was done. I am sure this round would work well on big hogs also. I will be hunting again with the SST.